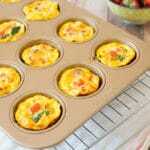 Cookbooks and Coffee | Inspired by cookbooks. Fueled by coffee. This Memorial Day weekend, it was been in the nineties alllll weekend long. In Minnesota. WUT? So I decided to whip up a batch of frozen rosé to cool down a little. And I do NOT regret it. 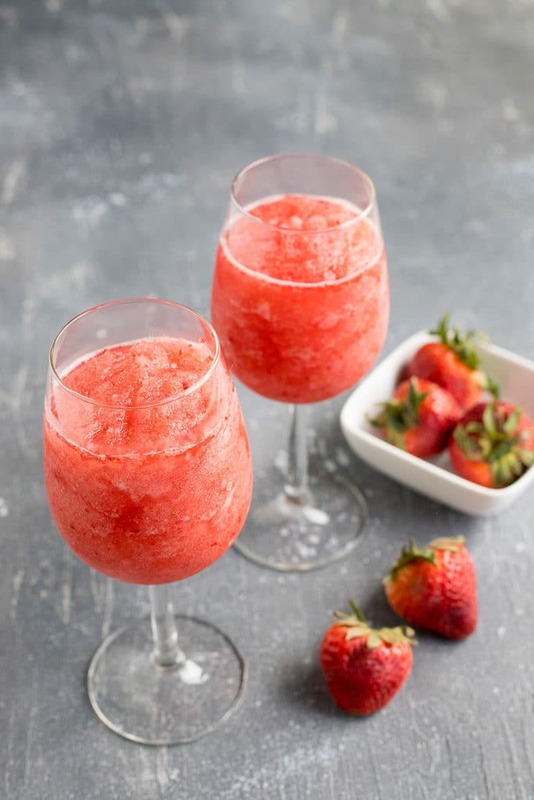 Frozen rosé–also known as frozé–is basically just a wine slushy. I mean, come on. What’s not to love? If you’re anything like me, you love any kind of wine-based cocktail. 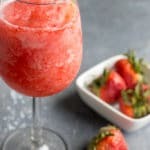 What better way to be summery AND fancy than to sip on a frozen wine beverage while lounging in the sunshine on a hot summer day? 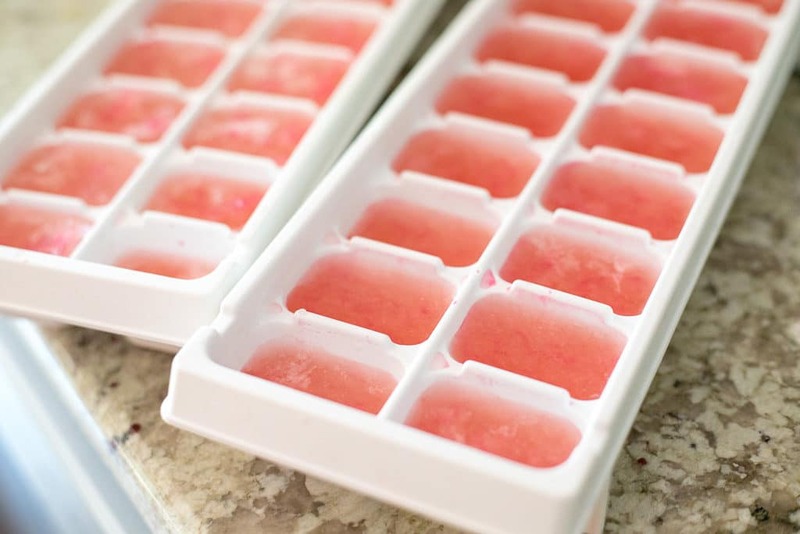 Pour a bottle of rosé into an ice cube tray and freeze for at least 8 hours, preferably overnight. It’s worth noting that the wine won’t freeze into hard, solid ice cubes like you’d get when freezing water. 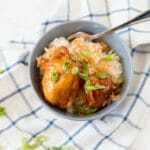 Because alcohol doesn’t freeze well, these cubes will be sort of a soft, slushy consistency even after freezing overnight. 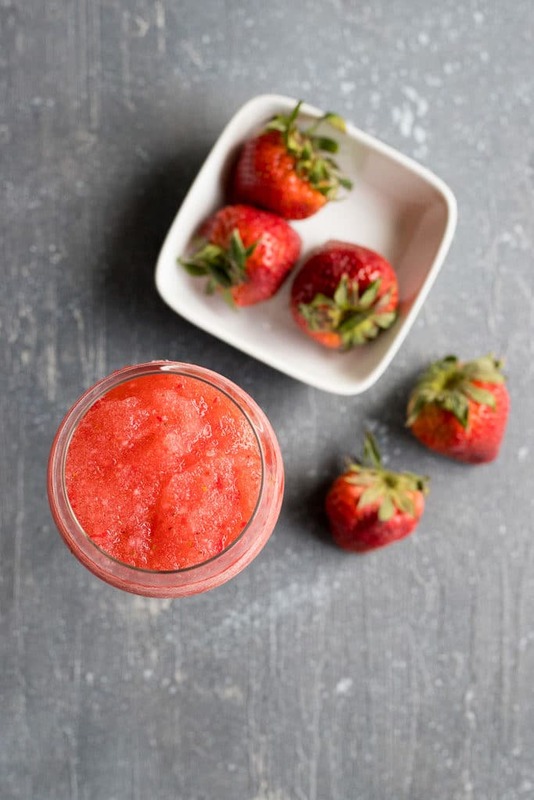 When the rosé is frozen, place the cubes into a blender, along with some sliced strawberries and a little lemonade. Blend the mixture until it’s all well blended. You might need to stop to give it a few stirs periodically to get all the frozen rosé cubes to blend properly. What kind of wine makes the best frozen rosé? 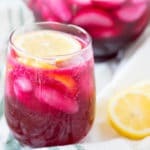 The wine you use to make these cocktails should be a dark colored rosé. The darker rosés have bolder flavors that hold up better to freezing. I used a pinot noir rosé and it was perfect.